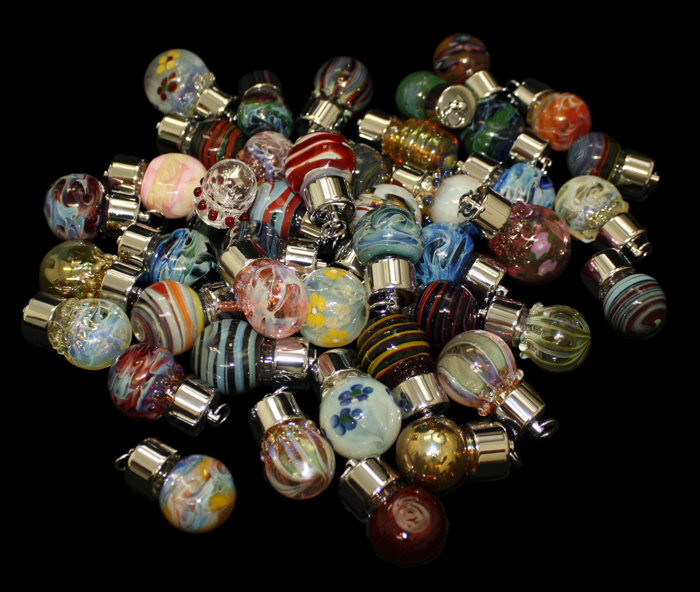 Glass Act's Genie Pendants are not only stunning and eye catching they have a wide range of uses. They can be used for Perfume, Fragrance, Oils, Essential Oils, Keepsake Urns... Imagination has no limits! Our Genie Pendants are made from the same durable Pyrex® Glass as our popular Salt and Pepper Shakers. Each Pendant is topped with a machined chrome plated top complete with an insert to keep the contents air tight. Includes a 29" Satin cord and a funnel for filling. Available in assortments.